Ermitage International School of France is now an authorized MYP school ! We are happy to announce that Ermitage has been authorized to offer the International Baccalaureate Middle Years Programme. Lower Canada College in Montreal, Canada, was the scene of the 2018 Round Square International Conference. Ermitage students joined hundreds of delegates from Round Square schools around the world for an incredible conference that showcased true Canadian friendliness and cooperation. Ermitage is now an IB PYP Candidate School! Ermitage is now an IB PYP Candidate School! It is with great pleasure that we announce that Ermitage has been granted the status of Candidate School for the International Baccalaureate Primary Years Programme (PYP). 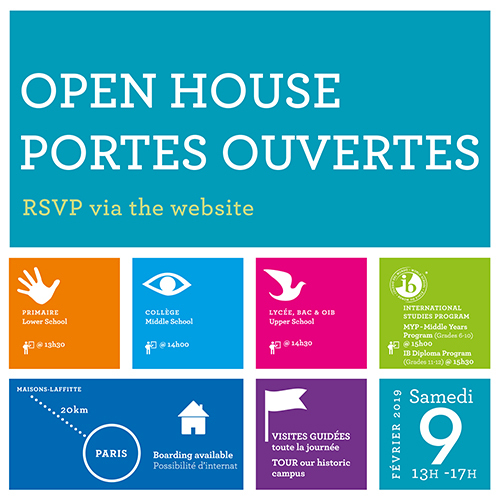 RSVP above to our Open House!